It's swap day. I made a tired serving tray, the glue doesn't hold well enough for shipping. 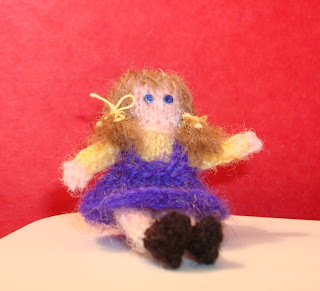 I knitted a doll's doll but I didn't like the face.